Many New Year’s resolutions at the start of the year will have included the need to jump back into fitness or get started for the first time. 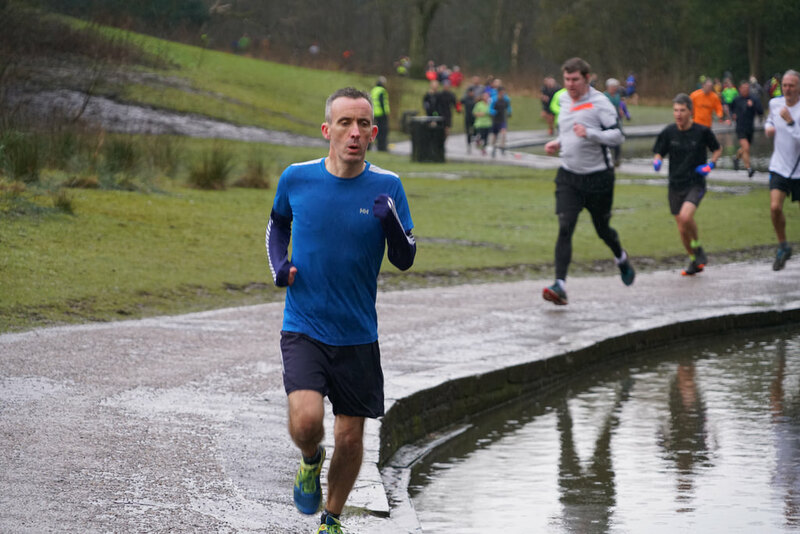 One option that’s taking the world by storm is Parkrun; a free, timed five-kilometer run, held at parks and green spaces across the globe every Saturday, every week. Whether you’ve already jumped on the Parkrun hype or are just starting out on your fitness journey, take a read of our guide to help you reach those personal best times by training on a Versaclimber. Running is an incredibly effective form of exercise, particularly for burning calories – in comparison to resistance training, cardiovascular exercises burn far more calories per hour. If you’re finding yourself running out of steam just half way into your 5k Parkrun, then it’s time to re-think how you train during the week. As simple as it sounds, the more miles you log, the more calories you’ll knock off. The key to keep the calories dropping though, is to make your running more efficient. Running in different patterns, varying in intensity and distance, will help your running become less arduous and in return, more efficient. HIIT (‘high intensity interval training’) will help to improve your overall performance and will introduce a bit of excitement into your routine. Ideal for this workout is our range Contra-Lateral Versaclimbers, which replicate natural running motion; strengthening your core and offering a powerful high-cardio workout. Reviewing your training programme frequently is key – running the same course, distance and speed will lead to a flatline in progress. Our bodies love habit, but when this sets in, it can also dampen our enthusiasm as the training becomes boring and repetitive. It becomes vital to step outside our comfort zones in order to reach new goals. Try a new method of training, train for a longer period, add in a spontaneous session, or venture outside for a run. Do something you don’t normally do and your body will thank you for it. While covering all the major muscle groups, the Versaclimber also allows users to customise a workout over a broad range of conditions – from changes in resistance and hand placement on the vertical frame, to climb pattern and torso rotation. While it might seem right to throw yourself into training, start slowly and break down your HIIT sessions into phases to avoid injury; taking a new phase per day. For beginners, training can be quite a daunting process. Ease yourself into a workout on the Versaclimber by keeping resistance low. The machine’s natural low-impact workout will help to reduce the risk of injury from landing on hard surfaces. With a low resistance, complete four reps of 30 second climbing bursts, with a 30 second recovery period each time. If you’re in need of motivation to get going, introduce some music into the mix – you’ll have your very own ‘Climb To The Beat’ class. Continue with the same amount of reps, but increase the duration by 15 seconds each day, followed by a recovery time that matches the climb. For those seeking a tougher workout, break your training down into weekly phases, increasing reps and resistance each week. Begin with four reps of 90 seconds climbing time at a higher resistance, followed by 90 seconds of recovery; increase the reps as you progress, but decrease the duration and recovery period as you go. Finally reach your PB this weekend? Tag us on social media through our channels, Facebook, Twitter and Instagram, to celebrate your success.